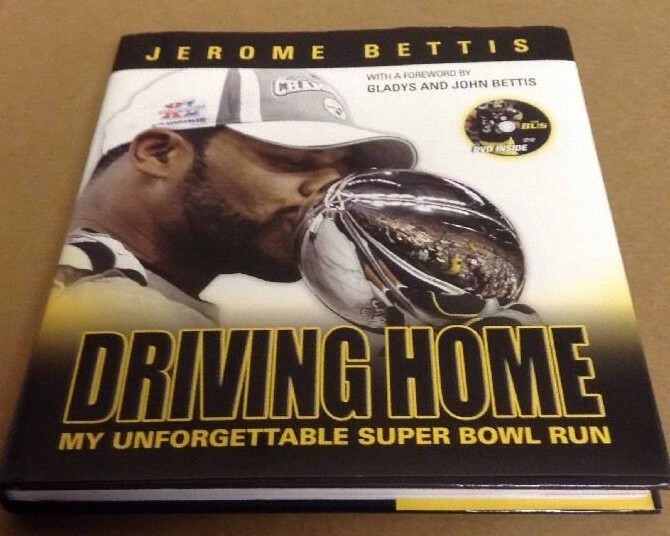 Driving Home (My Unforgettable Super Bowl Run) hardcover book autographed on the title page in thick silver paint by legendary Pittsburgh Steelers running back and author Jerome Bettis. Includes The Bus DVD. Dust jacket has minor to moderate flaws and wear. With certificate of authenticity from AutographsForSale.com. ONLY ONE AVAILABLE FOR SALE.